Trade has played an important role in the economy of West Africa since very early times. As early as 300 CE, camel caravans carried salt from mines in the Sahara Desert to trading centers along the Niger River in present-day Mali. Their mission was to exchange the salt for the gold that was mined in forests near the headwaters of the Niger. West Africa's first kingdom, Ghana, became wealthy and powerful because it controlled the trade routes and commercial activities in its region. The spread of Islam across North Africa in the 7th century dramatically increased trans-Saharan trade. As the market expanded, strategically sited towns became major centers of commerce, welcoming merchants from distant lands. Hop in the time capsule and travel back to ancient times. Look around. You're in the Moroccan city of Sijilmasa, an important center of trade. You are disguised as a Muslim merchant, the proud owner of eight camels. You're about to join up with a trade caravan and begin the long trek south across the Sahara Desert to West Africa. What were West Africa's main products of trade? What were the major trade routes in this region? How did the kingdom of Ghana become very wealthy? What is Islam, and why did it spread across Africa? How did Muslim merchants influence the development of trade in West Africa? Hitch up your camels and get on your way. Make sure you've got plenty of water. You'll need some long pieces of cloth to wrap around your head as protection against the sun and wind. And bring along some warm clothing - it's hot in the desert in the daytime, but it gets very cold at night. From Sijilmasa, you head south. Your first stop will be the salt mines of Targhaza. Access Trans-Saharan Gold Trade. Find Sijilmasa, Targhaza, and Timbuktu. Go to The Topic: Salt. What are the main uses of salt? What are two ways of obtaining salt in the Sahara? Now go to Salt-hauling camel trains. Scroll down to "Biblical Scene." Who mined the salt in ancient times? Did you guess slaves? You're right. Many of those on the losing side in tribal warfare ended up as slaves. They were sold at the markets, just like any other product. Many of them ended up working in the salt mines—that must have been everyone's worst nightmare! Access On the Edge of Timbuktu. Click on the video entitled Trek to the salt mines of Taoudenni. Take out your notebook and jot down what you've learned so far about salt. Don't forget to add your own insights. The salt that was brought down from the Sahara was usually traded for gold. The gold was mined in the forests of Guinea, near the source of the Niger, and carried downstream to the markets along the Niger in dugout canoes. Many local merchants became quite wealthy. Ghana, West Africa's first kingdom, depended upon income from trade. It became so rich it was known as the Land of Gold. Your caravan has made it to the edge of the Sahara and is setting up camp at a trading site along the Niger River. All that salt you collected in Targhaza is worth a great deal here in West Africa. In fact, it's worth its weight in gold! Access the Map of salt and gold mines. These are the major salt mines (near Targhaza) and the gold mines (in the regions of the upper Niger). Return to Trans-Saharan Gold Trade. Locate the gold fields. Go to Ghana Empire. After reading the text, click on the map to enlarge it. What are some of the other products traded in Ghana? Jot them down in your notepad!. How did the ruler of Ghana make a big profit? Think about the “silent trade.” What might have been the reasons for this unusual practice? As king of the Land of Gold, Ghana's ruler made certain that he looked the part. Check out Ancient Ghana. Scroll to the box entitled Royalty Gorgeously Attired. Click on the audio and listen to a description of the king and his court as recorded by an Arabic visitor. The expansion of Islam across North Africa in the 7th century led to a great increase in West African commercial activities, as Muslim merchants became actively involved in the trans-Saharan trade routes. You've finished bargaining with the gold traders. But before you head back north, you decide to take some time to visit with a few of the other Muslim merchants traveling in your caravan. But before you begin chatting, you'd better find out a little bit about their religion, Islam, and how it spread to Africa. Access Islam. Define the words Islam and Muslim. Who was Muhammed? What is the Qur'an? What is a mosque? Where is Mecca, and what is its importance to Islam? Now go to The Birth of Islam. What does the word Qur'an mean? What are the teachings of the Qur'an? What is the Ka'ba? Who were the caliphs? In what direction did Islam first expand from Arabia? Go to Trans-Saharan Gold Trade. Read the first section: Gold Trade and the Kingdom of Ancient Ghana. Why did people in the north want the African gold? Return to Ancient Ghana. 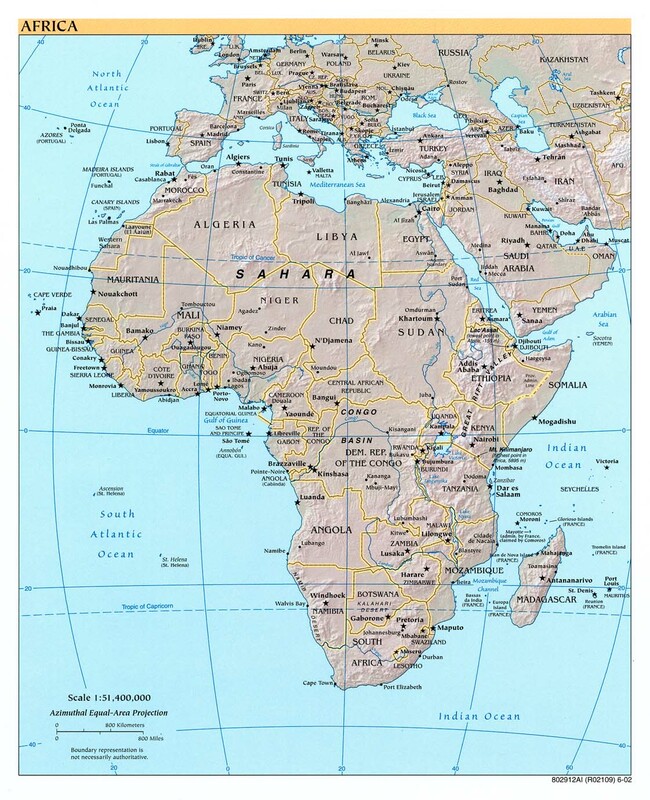 Scroll down to the sections entitled Islam and Muslims in Africa. Did Islam coexist peacefully with local tribal religions? How do you think Muslims in other parts of the world might have thought about this? Could there have been pressure for the African rulers to convert? You are in a market in ancient Ghana, surrounded by merchants, local inhabitants, and snorting camels.This is a fascinating place—something viewers back home really need to learn about! How can you convey a sense the excitement—the sounds, smells, and images of ancient Ghana—to the producers of Globe Trekkers? Take out your notebook, and write the stage directions for a reality show to be taped at this setting.